How to motivate yourself, or your sales team, to focus on the actions that will lead to increasing your sales results. Sales people love aiming for the big strike and closing sales. That’s when they earn their commission or grow their small business. But often the other actions that can lead to a sale are ignored or put off. Actions such as prospecting techniques and making sales appointments. 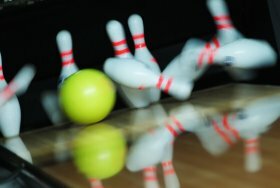 This simple sales action technique will show you how to motivate yourself, or your sales team, to give the right focus to all the sales actions that will lead to your success. It also has some great sales management tips for team motivation as you can make it competitive. The technique works by allocating points to each of the sales actions that you want to motivate yourself or your team to do. If you are looking for how to motivate yourself then the objective is to score a minimum number of points each day. You can also record your scores and try and beat your personal best. For team motivation you can set minimum scores, keep a competitive league table, or have a team total score target to aim for. Choose the one that’s best for your team. When allocating scores you can do it in a way that encourages the sales actions that need focusing on. For example: Prospecting techniques, making sales appointments, or gathering new leads. This sales motivation technique was sent in to the site blog by one of our visitors and has received some great comments from people that have used it. First, decide which of the daily/weekly sales activities are the most important. Take the top 5, or more if you think they are important, and prioritise them. For most people winning a sale will be at the top of the list. 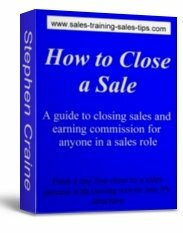 In the example above closing the sale is the most important action and scores 5 points. The other actions are all part of the sales process and could lead to a sale. They are given scores related to how close they are to the end goal of a sale and also to how difficult they are to achieve. It’s a lot more difficult to gain agreement to a sales appointment than it is to qualify a potential customer. Collecting unqualified prospects is the easiest of all the actions and only scores 1 point. But collecting prospects is important and this team motivation technique encourages it to be done. Once you have used the scoring system you will have an idea about which areas of the sales process could benefit from some sales training or additional focus. You may be great at closing sales, but what about making sales appointments? Here’s a really effective sales appointment workbook training course. It will show you how to make sales appointments and build a great cold call script that’s unique to you and your products or services. Easy to use, a simple step by step guide to appointment making that I use with my working sales teams. Click the image or open Sales appointment workbook course to see more. Are you getting in front of potential buyers but not closing enough sales? Here’s a simple workbook course that will give you new insights into closing sales. Designed for all sales people, self employed and small business owners, and works really effectively for both service and product sales. All types of closing techniques are covered in this practical course. From the quick one line closes, used on emotional and impulse sales, to the technical and service sales where closing is woven into a sales structure. To see more click the image or open How to close a sale. We have a full shop full of workbook courses that will help you increase your sales by focusing on the parts of your sales process that will give you the most benefit. 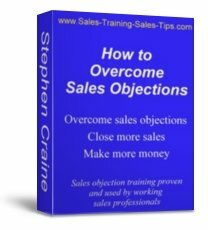 All the workbook courses have been designed and developed in real sales situations, not just a sales training classroom. No complicated techniques that don’t work in the real world, and no false promises or marketing hype just to sell the training. Everything you will find in the Sales Shop has been used and proven by my working sales teams. See what you can gain by opening the Sales and Training Solution Shop. Make a comment or ask a question about how to motivate yourself or your team, or any aspect of sales training and techniques. Share your opinions on what works and what doesn’t. Tell us about your favourite sales tips, or ask that important question that will help to increase your sales. Just follow the link and move from this page on how to motivate yourself or your team and open the sales blog entry page.